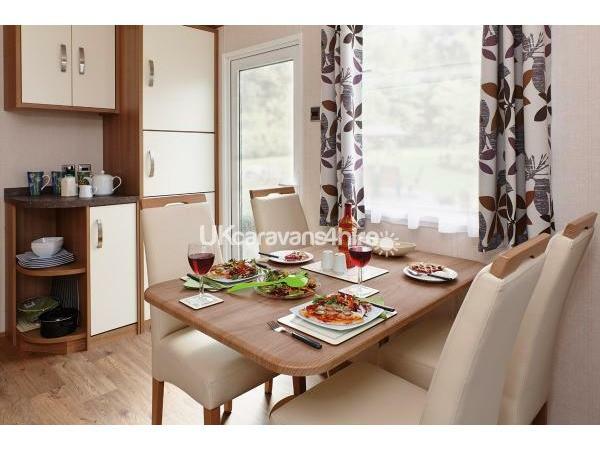 Additional Info: A large luxury 'Platinum' grade caravan sleeping 6-8 people. Gas central heating and double glazing. Bed Linen, gas and electricity FREE! Deposit of £50 or 10% of the holiday cost, whichever is the greater, will secure the booking. The balance to be paid not less 8 weeks prior to the start of the holiday. Deposit are non-refundable but a credit for a future booking will be allowed where possible. 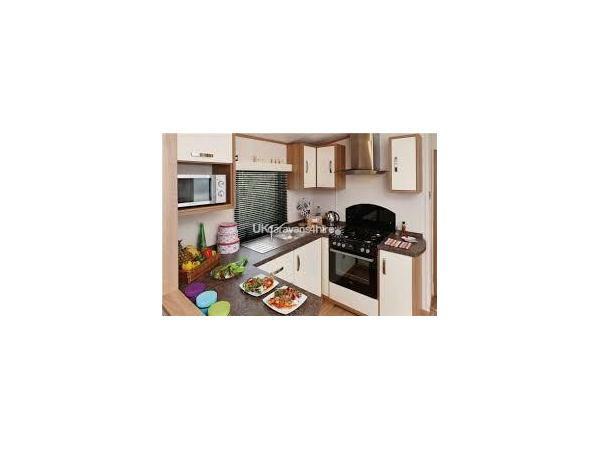 This caravan for hire is the best standard of accommodation on the Park. 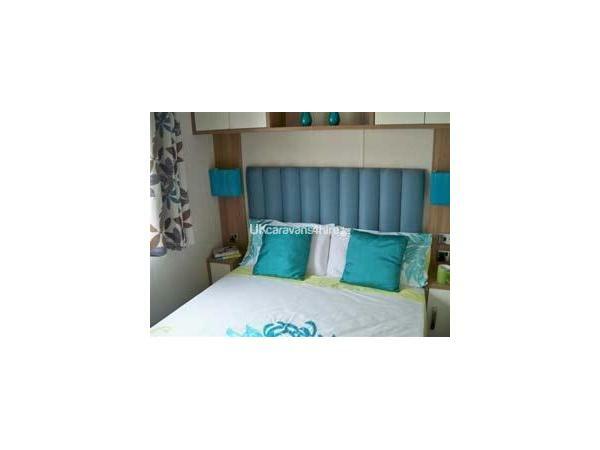 A luxury 'Platinum' grade caravan, sleeping 6-8 people, it has a large en-suite double bedroom with TV and two other bedrooms each with twin beds. There is a pull out bed in the spacious lounge. There is a family bathroom with a thermostatically controlled shower and a further toilet. The kitchen is fully equipped and has a full-sized cooker, integral fridge/freezer, microwave and all the utensils you will need. Central heating and double glazing are fitted for those cooler evenings. 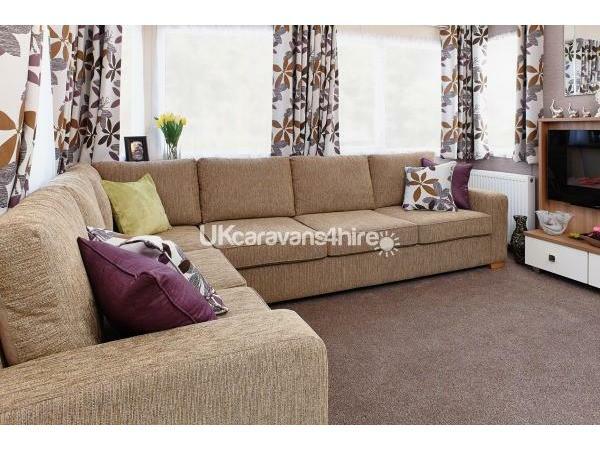 The lounge and dining areas are large and fitted for comfort. There is a 32" flat screen TV with DVD player and lovely large windows allowing the light in. Outside is a veranda with a table and chairs for alfresco meals! 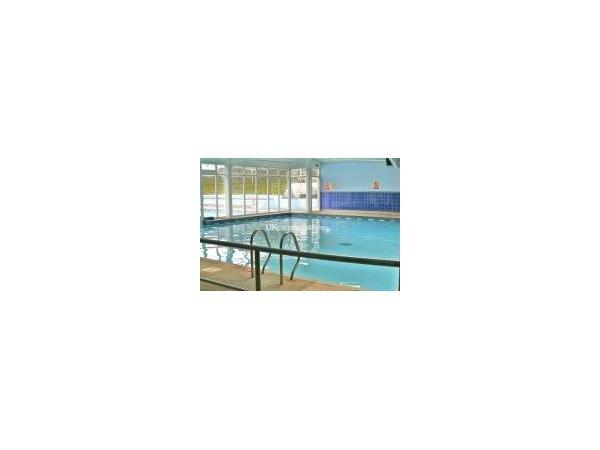 This caravan for hire is situated close to all of the main amenities of the Park, including Reception and the Swimming Pools. Passes for the use of the Park's facilities are included when booking one of our caravans. We also have 7 other caravans here at South Bay, under references, 2460, 1216, 2397, 3270,1215,2368, and 3666 which is also 'platinum' grade. 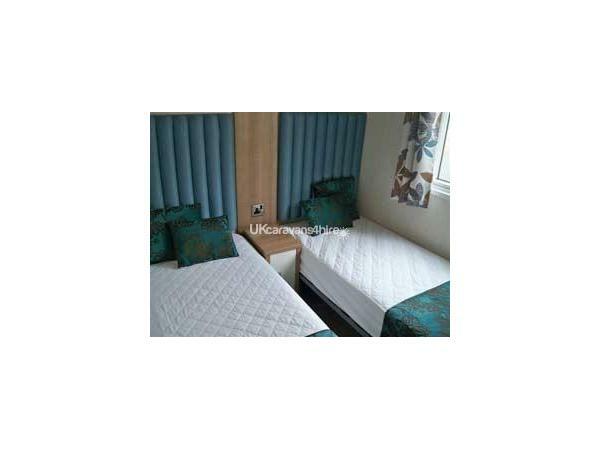 South Bay Holiday Park is kept to a high standard. The Park includes, a Reception, Shop, Clubhouse with Bar, Children's 'Foxy' Club, Crazy Golf, Launderette, Indoor/Outdoor Swimming Pool and evening entertainment (except off peak periods). 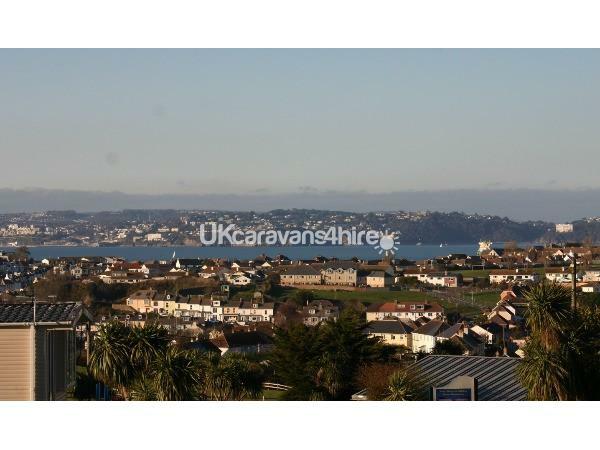 South Bay is situated above Brixham with views over Torbay to Paignton and Torquay. There are lovely walks from the Park onto the headland with views over the sea. A pathway leads to the nearest beach, via steep steps, St Marys Bay. It is a natural sand and pebble beach within about a 10-15 minute walk. Other beaches with all modern facilities are close by at Broadsands and Goodrington. They are a short car journey (2-3-miles) and parking is available at both. 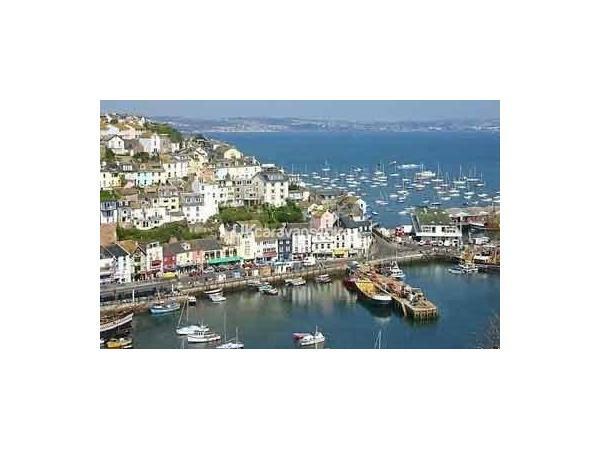 Brixham is a fishing town with a lovely harbour, the 'Golden Hind', many cafes and restaurants around the harbour and of course all the family (or just Mum & Dad!) can enjoy 'crabbing' along the harbour quays. The kit needed can be bought cheaply from local shops. Paignton is a typical British holiday town with a beach, a pier, and is popular with all ages. The steam train operates from here to Dartmouth. Well worth a trip to enjoy the ride and Dartmouth itself, a very scenic and interesting small town on the river Dart close to the estuary. Torquay is a larger town, directly across the bay from Brixham. It has a harbour, beach and attractions including many of the recognised High street shops. It is about a 6 mile car drive but can also be reached by ferry from Brixham harbour for £1.50 each, one way, for a 30 minute boat trip. A bargain! Explore the area and you will find much of interest and variety, from Gardens to Go-Karts! Additional Info: Membership passes included in our prices. We had a fantastic stay in your beautiful caravan for the week. It was absolutely spotless and had everything we could have possibly needed. It is in a perfect location of the park and having the added benefit of a veranda was even better, we really enjoyed sitting outside in the evening before heading off to the entertainment complex. We would highly recommend anybody thinking about visiting South Bay to definitely get in contact with John, faultless service from start to finish. We will definitely return in the future, a fantastic holiday had by all :-). Thank you for your lovely review. We really appreciate your time and comments.John. Well appointed caravan..everything you would need...Park itself is clean tidy ..The holiday passes come with the booking for site facilities..swimming entertainment etc...if you want to leave the car a bus stop outside the camp takes you direct down into Brixham and from there the whole of Torbay can be explored easily.A nice caravan and a nice part of Devon. Thank you for your review. I'm sure it will be helpful to others! Thank you john for contributing with the hire of your beautiful caravan to a holiday our mum needed so badly after lose of our dad. 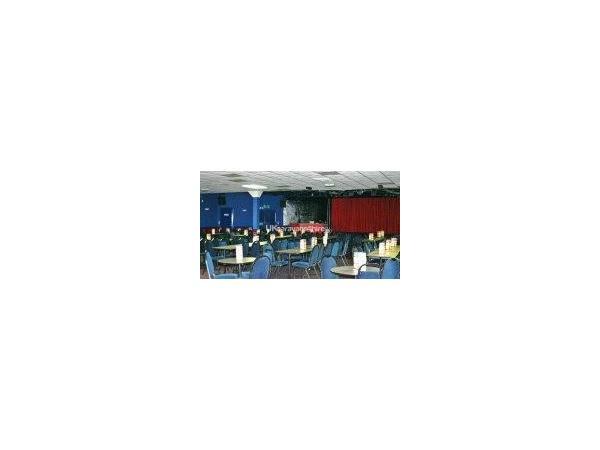 Could not fault anything and would recommend anybody to you to hire your van Brixham is a lovely location and Sandy Bay is a friendly site which we have used many times over the years. Again thank you for the hire of your caravan and if we come south again will gladly hire it. Thank you for your review and your kind words. We hope your Mum is feeling a little better. Sorry about the late reply but have been on hols ourselves! 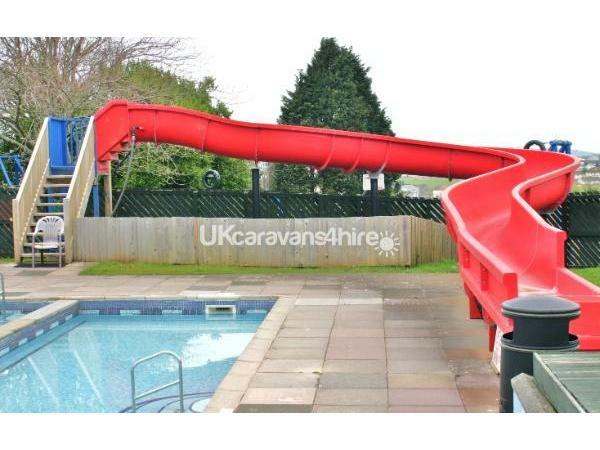 We booked the caravan at short notice at a great price and were contacted 2 days before holiday was due to start inviting us to go a day early if we wanted, at no extra cost. An offer we couldn't refuse. 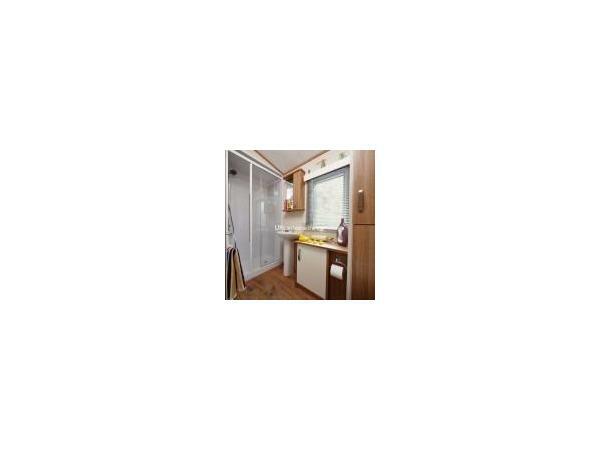 A beautiful caravan, ideally placed for us as close to the park and swimming pool. We needed to get an extra duvet cover and sheet but site staff were happy to help. There is a BBQ too which we didn't expect to use but the weather was great and we couldn't resist.We just needed to get BBQ utensils and coals to use it. Great to be able to sit outside in the sun on the deck/veranda. Lovely views over Brixham to Torquay, especially at night when all lit up. John was on site during the week and came to introduce himself and to check all was ok. A great week. Thank you. Thank you. We are glad you had a good week and enjoyed your stay. Thank you for taking the time to leave the review.